Banky W is not letting his fans wait any longer! 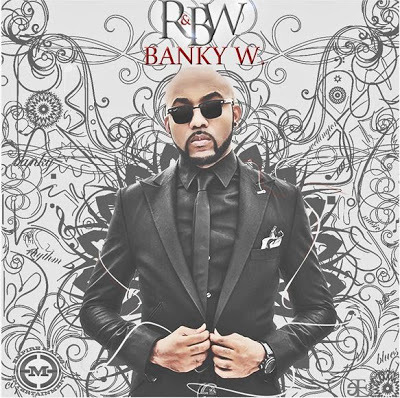 The R&B crooner is set to release his long-awaited and very much anticipated album 'R&BW' this Valentine's day as he has unveiled the album artwork (above) and the official tracklist (below). Wearing an all black suit and tie with black shades on the album cover, the 'Kele' singer features his EME family - Skales, Shaydee, Niyola and Rotimi to the line-up for his 16-track-album as well as other Afrobeat artists across Africa... apart from ONE... Wizkid! I shall reserve my comments about that! 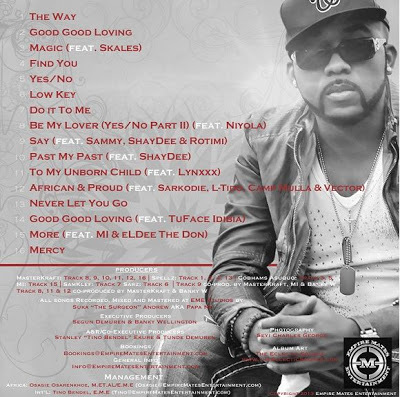 The first two singles 'Good Good Loving' and 'Yes/No' are added to the tracklist of 'R&BW' - including other unheard songs such as 'To My Unborn Child' featuring Lynxxx and 'Say' featuring Sammy, Shaydee and Rotimi.